Nowadays, a lot of massage chair claim to be the best, with all new and premium features. With a lot of competition, it’s difficult to tell, but the good thing is there are a lot of options you can choose from. Osaki OD-4D JP Pro massage chair is a self-proclaimed premium massage chair with a number of features that able to satisfy even more picky users. According to numerous online massage chair reviews, Pro JP massage chair has the technology to imitate an actual human touch massage. Since this model from Osaki model is not a budget massage chair, you can take a closer look into the world's best and expensive massage chair here and what it can do for you, click here. We’ve prepared a comparison with two other massage chairs in the similar price range, to ease your decision. 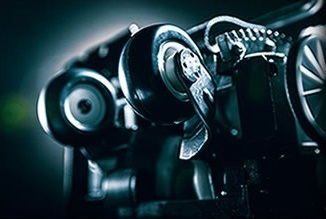 If you want fuller, more in depth overview of Osaki brand & models, click here. Osaki OS-4D comes from Japan, and it looks like it has it all. According to online Osaki massage chair reviews, the JP Pro accommodates different users that are all satisfied with this chair. Have a look if the following features are up to your tastes and standards. Packed with a 4D massage ball system which is combined with 40 rollers, this massage chair already sounds like a promising start. The S-track design makes the rollers follow the natural curve of your spine, while the 4D technology allows you to regulate the speed and intensity of these massage balls. At the same time, the track can move in and out of its way, making the massage feel closer to an actual human touch massage. Body scan feature is a very common feature with many massage chairs because it provides an extra kick to the massage. By scanning your body, the massage chair is able to locate your pressure points, which results in a more thorough and complete massage. 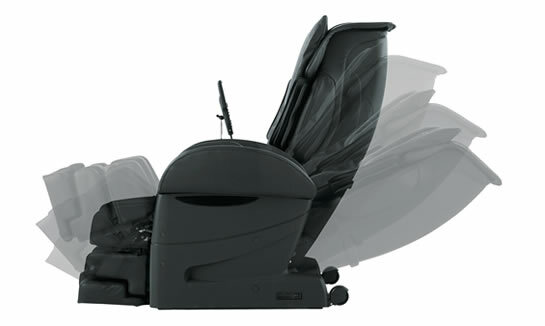 Osaki 4D massage chair is highly customizable when it comes to massage options and other settings. First of all, in preprogrammed settings, you can choose between seven different intensity settings. In manual mode, the intensity settings consist of twelve different levels. The OS-4D offers different massage techniques, which are all combined with zone massages. These focus on a specific area of your body and include Neck massage, Thigh/Glute massage, Leg massage, and Super kneading (Kneading & Tapping) among others. All in all, it consists of 28 kneading techniques. The preprogrammed massage techniques consist of basic programs and advanced programs. In advanced programs, the massage chair uses the rollers as well as the Kiwami Mecha rollers for an improved and more in-depth massage. Apart from the highly adjustable massage settings, the Osaki 4D massage chair also comes with an adjustable timer. The users are free to choose between 5 to 30 minutes of massage duration, all to their preference and time available. In a reclined position, your knees are placed above your heart. This position enables a deeper and more effective massage because your body is pressing down onto the rollers. With the 4D rollers, this feature is an excellent addition that leaves its users relaxed after a therapeutic massage experience. With 44 airbags, this massage chair is able to provide an additional upgrade to all the massage options. Once you choose the air mode, you can select the chair to focus on a full body massage. In case your needs are more specific, you are free to choose from one of the five separate body areas instead: shoulder, arm, foot, sole, and lower body air massage. OS-4D provides a heat therapy in the lumbar area. While this feature is definitely beneficial, it is also very common even in massage chairs in the lower price range. If the Osaki wanted this feature to be impressive, they should definitely upgrade it. While the heat therapy provides therapeutic benefits, the temperature cannot be regulated, and it’s limited only to the lumbar region. For a proper relief to your feet, Osaki JP offers rollers provide a relaxing massage to that area of your body. The feet rollers are accompanied by airbags, which can be activated separately. In combination with the air massage mode, the Osaki also provides you with a foot stretch massage. We found very little information on the remote control. The Osaki company claim that this LCD remote it’s easy to operate and user-friendly. Osaki in an off-brand company that produces a wide range of massage chairs. 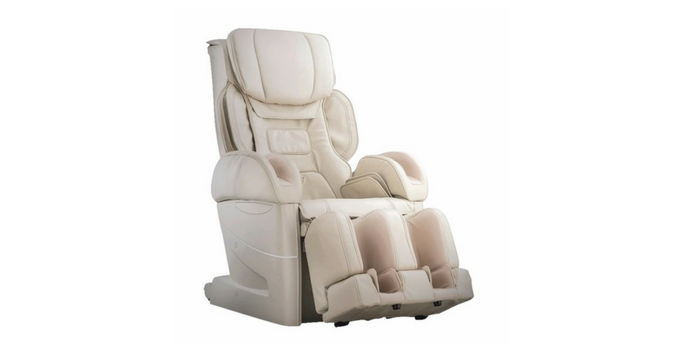 OS-4D massage chair files under the Osaki Premium Japan massage chair line. Apart from this chair, the brand also offers a number of other massage chairs. On their website, the company also offers eye massagers, handheld massagers, foot and seat massagers. Osaki JP Pro massage chair is made in Japan. OS-4D massage chair has a 3-year warranty on parts and labor. The Osaki website claims this specific massage chair also comes with a 2-year extended warranty. 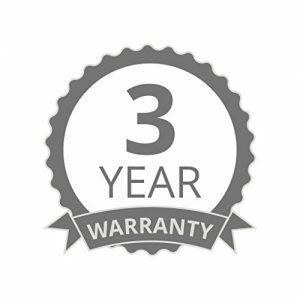 You can have a look at the warranty here. The chair is made of synthetic leather. You can choose between black, brown, and beige colors. The curbside delivery of the Osaki 4D massage chair is free. The users can purchase a White glove delivery service for $250 from the Osaki website. The Osaki massage chair weighs 198 lbs. and is recommended for users up to 285 lbs. The recommended height range is between 5’ and 6’3”, but we need more information to confirm this. In the similar price range, the 8500 is said to be one of the best massage chairs on the market. Highly customizable, you’d be able to enjoy its therapeutic benefit from the comfort of your home. 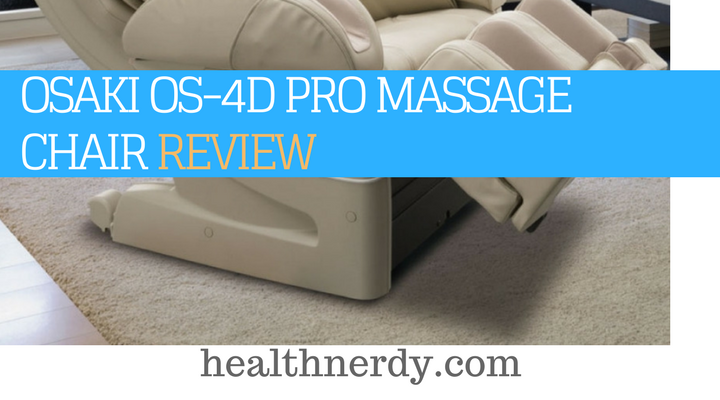 Can it really be better than the OS-4D premium massage chair? Both massage chairs have an S-track design even though for this price many would expect at least an L-track. While the 8500 comes with quad rollers beside the S-track, the OS-4D takes it one step further. With the Mecha Kiwami 4D rollers it is able to provide a more extensive and thorough massage compared to Infinity. Osaki massage chair may boast with 28 different kneading techniques, but Infinity is also highly customizable when it comes to massage options. It provides a deep tissue massage, a spot massage function, as well as a partial massage mode. While the Osaki is very thorough in its massage techniques, it’s the Infinity that provides therapeutic results for those suffering from chronic back pain. The full body scan is another welcome feature, but Infinity takes it one step further. The 8500 massage chair enables users to manually locate the pressure points the massage chair has left out. This is very advanced yet very useful. Both the Osaki and the Infinity are advanced and premium massage chairs that are able to provide relaxation and relief to their users. While Infinity is on a slightly higher budget that is unappealing to some, but for a few hundred bucks extra you get a therapeutic massage chair that is perfect for anyone suffering from chronic back pain. On the other hand, the OS-4D is a good choice for anyone looking for a more general massage chair with many advantages and massage options. Kahuna Spirit is in the same price range as the Osaki but is more recommended for chronic pain sufferers. The chairs may seem the same, but some minor differences between them can influence the final decision of the future users. 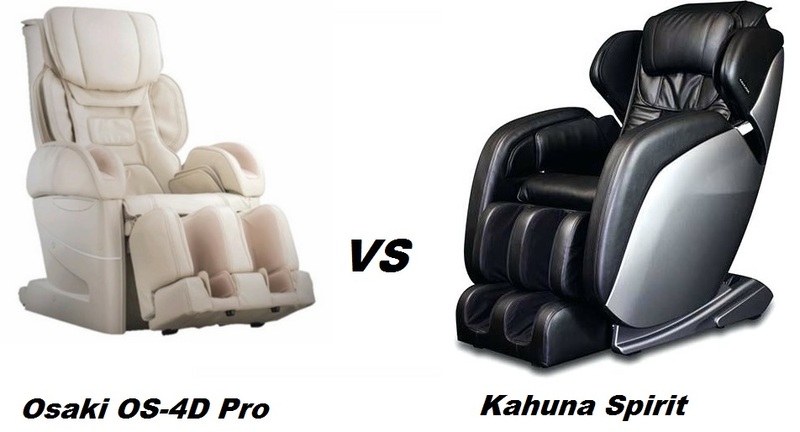 The S-track design in Osaki massage chair is advanced with the extra 4D rollers, but the Kahuna massage chair comes with a hybrid SL-track design. That means the massage rollers follow the natural curve of your spine and are able to extend all the way to the glutes and thighs. The zero-gravity feature is definitely very beneficial, and Osaki does provide this option, but the Kahuna actually comes with three zero-gravity levels, which makes is it an important competitor. While the Osaki can brag that it provides its users with a lumbar heat, the Kahuna goes one step further. Its users are happy to use the heat in the lumbar, arm, and calf area. The lumbar area heat actually extends all the way to the mid back. Sadly, the temperature cannot be controlled, but that’s a feature that most chairs for this price range share. In terms of the air massage mode, the Kahuna Spirit massage chair comes with 12 airbags that are probably able to provide you with the air massage you require, but the Osaki still comes with 44 airbags that can be customized to a specific area of your body. The Kahuna Spirit comes with an MP3 support and a space-saving technology, which is a great advantage for those who don’t have a lot of space to waste. Also, Spirit massage chair offers three different hip massage options and two different full body stretch features. The Osaki is packed with a lot of beneficial and therapeutic features. It offers premium massage experience, and it comes close to a human massage experience. It’s suitable for a wide variety of users. On the other hand, Kahuna Spirit is an excellent choice for those who aim specifically at a therapeutic massage chair that could provide an instant relief for their chronic back pain. From the Premium Osaki line, OD-4D is the middle massage chair which has both the drawbacks of its predecessor, the OS-4.0 and the advantages of the OS-4S massage chair. The Osaki OS-4D is very customizable with its massage options and 44 airbags. With its adjustable massage timer and the zero gravity recliner, this may be the premium massage chair Osaki claims it to be. 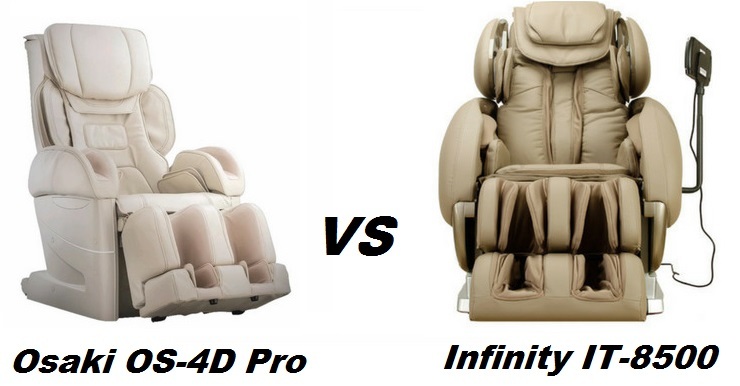 There are enough Osaki 4D massage chair reviews that would actually support all these claims. My recommendation is to go ahead this this chair but take a closer look at other options as well.